What is the AAG and Where Does it Come From? What is the AAG? It stands for the Association of American Geographers, and it is the premier academic and professional geography organization in the United States. Since 1904, the organization has hosted an annual conference. This year, it’s being held for 5 days – April 21st to the 25th – in Chicago. Back in 1904, the AAG was founded by 48 people, 46 of which were men, and 2 women. All were “white”, which is not very surprising considering the time. In the beginning, much of the debate in the AAG and in the academic realm of geography revolved around this question: how does the environment influence us as humans? For example, how does the environment affect how people in Wisconsin behave, live, and work compared to people in the hills of Appalachia? One of those founding women, Ellen Churchill Semple, infamously argued that people living in harsh areas, like in Appalachia, were bound to be stupid because all of their time must have been spent on surviving and transporting goods up and down dangerous and steep hills. On the flip side, people living in flatter landscapes were expected to be smarter and more accomplished in life by societal standards of the time, because more time could be spent of creativity and not mere survival. This concept is called environmental determinism. Semple, like many early geographers of the AAG, were influenced heavily by academic geographers from the recently unified German Empire. Semple was a student of Friedrich Ratzel (1844-1904), who is associated with a nationalistic idea called Lebensraum. This word is made up of the German noun “das Leben”, meaning “life”, and another noun “raum”, meaning “room” or “space”. It translates to “living space”, which a good handful of European countries – most infamously Germany – wanted more of. Possibly one of the most accomplished geographers from the AAG also came from this early period, but a little bit later. His name was Richard Hartshorne (1899 – 1992). He was also influenced by the German School of Geography, particularly the lineage of Carl Ritter (1779 – 1859), who was the first Professor of Geography in Berlin in 1820, Ferdinand von Richthofen (1833 – 1905), not to be confused with the Red Baron who has the same last name, and Alfred Hettner (1859 – 1941), who was seen largely as a copy cat of von Richthofen. For Hartshorne, Geography was an “exceptional” subject because of the uniqueness of regions. To him, there was a beauty and complexity to how people across various regions of the world lived and behaved. 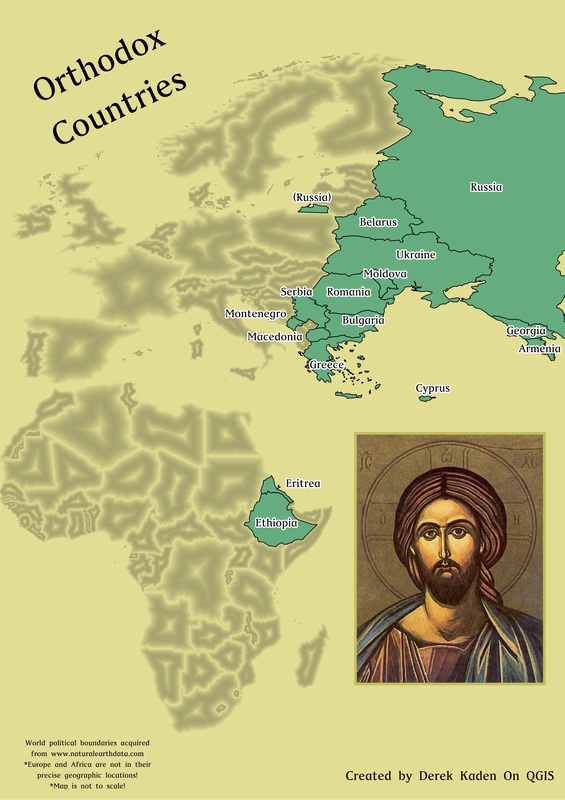 One of my geography professors, Alec Brownlow, used a nice example that stuck to explain what “uniqueness of regions” actually means. 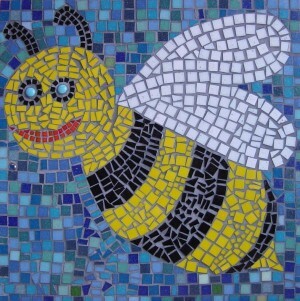 Take a look at this mosaic of a bee. If you zoomed in and compared some tiles side by side, they would look practically identical. There isn’t any uniqueness, because some tiles could be swapped we wouldn’t even know the difference. 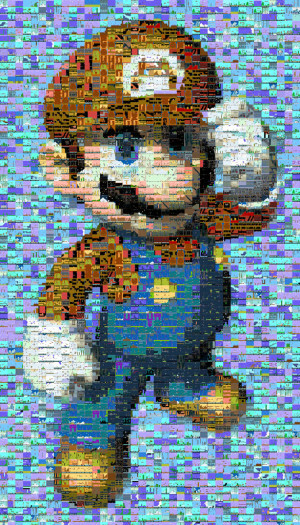 Now, compare the bee to this mosaic of Mario. No two tiles are exactly the same. If we swapped one tile for another, it would be obvious because each tile has its own unique design. For Hartshorne, this uniqueness of regions is what is so fascinating about Geography. At the 1923 AAG Conference, Harlan Barrows, the organization’s president at that time, presented a paper calling Geography the “Mother of Sciences”. He essentially contended that fields like Astronomy, Physics, Anthropology, and Zoology, among others, branched off as little polyps from Geography. On one hand, he has a point. The word Geography comes from Greek, and it means to “write about the earth”. Writing about the earth applies to pretty much any subject, so it would make sense that over time other specialized fields like the ones I mentioned came into existence. His article is written sort of defensively, as if to tell all of the other disciplines in the world that “we were here first!” and “you all came from us”! To me, the AAG president in 1947, John Kirtland Wright, offered the best explanation of what geography is in his presidential address titled Terrae Incognitae, which comes from Latin meaning “unknown land”. In it, he talks about a term he came up with called geosophy, or the study of geographical knowledge from any or all points of view. This article laid the foundation for thinking of geography as an interdisciplinary discipline, instead of trying to narrowly categorize it as a “science”, a “study of regions”, a “study of landscapes”, or some other label. However you look at it, geography is a diverse field – from cartographers, Java programmers, academics, and people who study why and where people feel afraid. An interdisciplinary discipline describes it best. http://www.geographicsociety.org/wp-content/uploads/2014/08/logo-300x98.png 0 0 The Geographic Society of Chicago http://www.geographicsociety.org/wp-content/uploads/2014/08/logo-300x98.png The Geographic Society of Chicago2015-04-21 15:34:192015-05-21 12:38:34What is the AAG and Where Does it Come From?